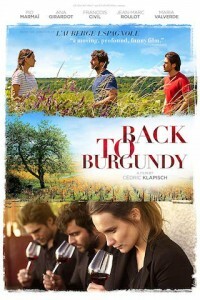 From celebrated French writer-director Cédric Klapisch (L’Auberge Espagnole, Russian Dolls, Chinese Puzzle) comes the acclaimed comedy-drama Back To Burgundy, an absorbing tale of three thirty-something siblings who reunite at their vineyard in Burgundy to save the family wine business while re-examining their life choices and relationships. Jean (Pio Marmai), the black sheep of the family, unexpectedly returns home from a decade abroad to reconnect with his hospitalized father. He’s welcomed by his strong-willed sister, Juliette (Ana Girardot), who took over the reins of the vineyard after their father fell ill, and Jeremie (Francois Civil), the youngest of the three who has recently married into one of the region’s more prestigious wine families. Their father passes shortly after Jean’s return, leaving them with the estate and a looming inheritance tax of half a million dollars. Over the course of the subsequent year and two harvests, emotional and work-related conflicts erupt that will force the siblings to reinvent their relationships and their own life choices if they are to survive as a family and a business. Shot on location in several Burgundy vineyards over one year and four seasons, Back To Burgundy provides a fascinating glimpse into the winemaking process rarely depicted on screen this authentically. The screenplay was developed with the collaboration of veteran actor Jean‐Marc Roulot (who plays Marcel, the estate’s manager) whose own real-life career as a top Burgundy winemaker provided invaluable input and locations. The backdrop of the Burgundy vineyard magnificently serves Back To Burgundy’s story of a family coming to terms with its history and future.